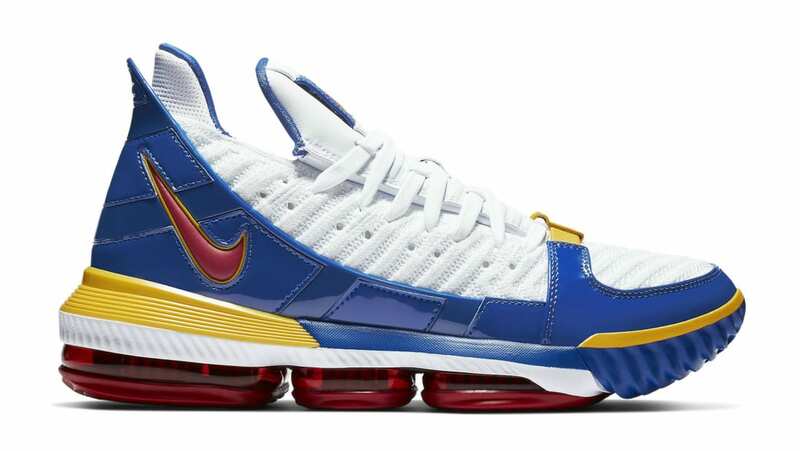 Nike Nike LeBron 16 SB "SuperBron"
Nike LeBron 16 SB "SuperBron"
What looks to be inspired by the "Superman" LeBron 3 PE from 2005, the Nike LeBron 16 SB "SuperBron" combines a white Battleknit upper with the LeBron 3's royal blue overlays in patent leather. Release date is Dec. 26, 2018 for a retail price of $200. News Nike LeBron 16 SB "SuperBron"